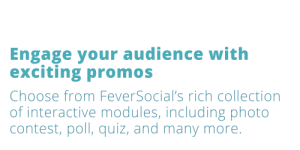 Choose from FeverSocial’s rich collection of interactive modules, including photo contest, poll, quiz, and many more. 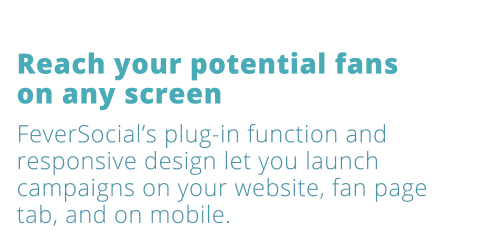 FeverSocial’s plug-in function and responsive design let you launch campaigns on your website, fan page tab, and on mobile. FeverSocial’s exclusive dual fan gate design helps you and a co-sponsor get new page likes TOGETHER in the same campaign. 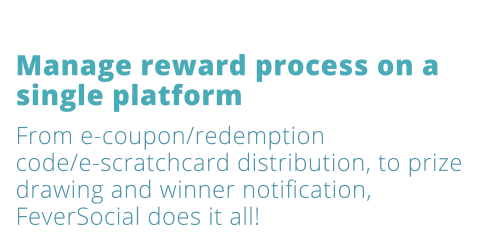 From e-coupon/redemption code/e-scratchcard distribution, to prize drawing and winner notification, FeverSocial does it all! 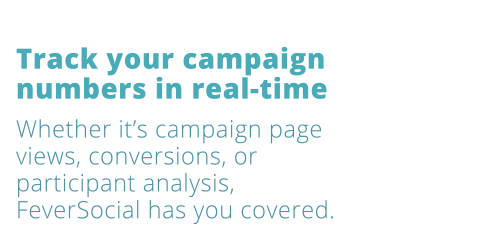 Whether it’s campaign page views, conversions, or participant analysis, FeverSocial has you covered. 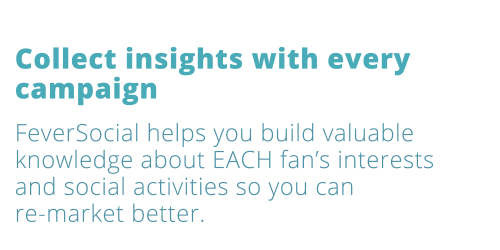 FeverSocial helps you build valuable knowledge about EACH fan’s interests and social activities so you can re-market better. 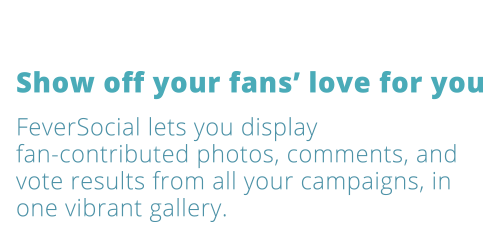 FeverSocial lets you display fan-contributed photos, comments, and vote results from all your campaigns, in one vibrant gallery.